Thanksgiving travel by car this year could be the highest in more than a dozen years, according to AAA. This traffic backup from November 2016 shows the normal morning rush hour along US 101 near downtown Los Angeles. The traffic predictions already are in for Thanksgiving, and this year’s holiday promises plenty of company for those traveling in planes, trains and automobiles. The 2018 Thanksgiving holiday weekend is expected to see the highest travel volume since 2005, according to AAA. AAA projects 54.3 million Americans will travel 50 miles or more away from home this Thanksgiving, up 4.8 percent over last year. For the 48.5 million Americans planning a Thanksgiving road trip, INRIX, a global mobility analytics company, predicts travel times in the most congested U.S. cities could be as much as four times longer than a normal trip. There were no specific numbers for cities in Maine. AAA defines the Thanksgiving holiday period as running from Wednesday, Nov. 21, to Sunday, Nov. 25. Some 4.27 million travelers will fly. That number grew the most since last year, and is up 5.4 percent. Travel on trains, buses and cruise ships is expected to increase 1.4 percent to 1.48 million passengers. Probably the most-awaited prediction from AAA is the optimal time to travel and avoid traffic. The news isn’t good for travelers in New England. Boston joins San Francisco and New York City as one of the three top cities with the longest traffic delays, nearly quadruple normal drive times. Those wanting to get a head start on driving may want to think twice. The worst time to travel in Boston is the Tuesday before Thanksgiving. A drive on Interstate 495 south between exits 41 and 33 is estimated to take 3.5 times longer than normal. 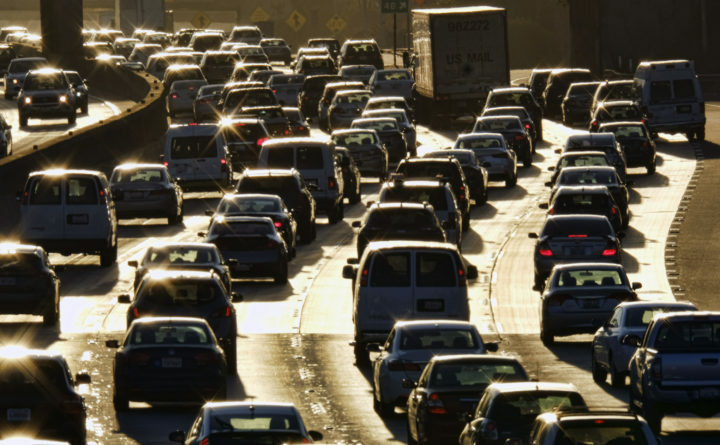 Trevor Reed, transportation analyst at INRIX, advises avoiding commuting times in major cities altogether or planning alternate routes. In most cases, the best days to travel will be on Thanksgiving Day, Friday or Saturday. Drivers also should expect increased travel times on Sunday, as most holiday travelers will be making their way home after the long weekend. AAA also is preparing to rescue nearly 360,000 motorists roadside this Thanksgiving, jumping dead batteries, unlocking cars and changing flat tires. The Top 10 Thanksgiving travel destinations are Orlando, Florida; New York, New York; Anaheim, California; Punta Cana, Dominican Republic; Las Vegas, Nevada; Cancun, Mexico; Dallas/Fort Worth, Texas; Honolulu, Hawaii; Washington, D.C.; and Miami, Florida. Travel website tripsavvy.com started advising its readers in August to plan early for their trips, including preparing a survival kit. On tripsavvy.com’s list is herbal tea, a good podcast or playlist and taking time for deep breathing while you are driving to keep calm and avoid road rage. The website also recommends taking public transportation, if possible, to Black Friday sales, and to be aware traffic is the worst mid-afternoon. Alternatives it recommends are hiking or simply staying close to home. Even with predictions that the rush to crowded Black Friday sales may be down this year — market researcher Genesys estimates only 37 percent of Americans will leave the comfort of their homes for the holiday tradition — a Maine company has come up with a twist to combine online sales and another big trend, shopping locally. RangeleyTrading.com, the website of Rangeley Trading Co., went live this week with gift certificates for more than 20 local businesses. The company said it wants to keep more dollars in the community and make it easy for seasonal residents to continue supporting local businesses when they are back home. “Many small businesses have a very limited online presence. They wish they could do more, but they don’t have the time,” Kate deLutio, RTC’s founder, said. The idea for the website developed over several months of talking with local business owners. Statistica.com estimates that U.S. consumers will purchase $160 billion in gift cards this year, according to deLutio. “That’s nearly $500 for every man, woman, and child in the U.S. – it’s staggering,” deLutio said. Many of those purchases are online. She said the website gives small businesses an easy, affordable way to compete for those sales. Business on RTC’s website are: Alpacaville, Alpine Shop of Rangeley, Backwoods Clothing & Custom Embroidery, Bald Mountain Camps, Bald Mountain Camps Guide Service, Blue Orchid, Classic Provisions, Ecopelagicon, Forks in the Air, Gingerbread House, Just Add Water Floating Camps, Lakeside Convenience & Marina, Mooselook Guided Adventures, Mr. Sweet Tooth, Oquossoc Grocery, Rangeley Health and Wellness, Rangeley Lakes Trails Center, Rangeley Region Lakes Cruises & Kayaking, Saddleview Farm, Sarge’s Sports Pub & Grub, Seaberg Gallery, and The Shed. Duluth Trading Co., which sells casual and work clothing and accessories, opened a store at 55 Maine Mall Road in South Portland this week..
That’s the first Maine store for the Mount Horeb, Wisconsin, company, which has 44 other U.S. locations. The store held a grand opening on Nov. 8, which included lumberjack shows. And Los Angeles-based HyreCar Inc., a ridesharing company, added 16 locations this week, including one in Maine, New Hampshire and Rhode Island. It now is in 50 states. HyreCar lets car owners rent their vehicles to Lyft drivers, for example, who don’t have their own car but want to drive customers.